The wine has a fragrant aroma of red cherry fruit. The palate has a core of sweet red cherry fruit integrated with fine savoury tannins. The wine is textured and elegant with a long lingering finish. 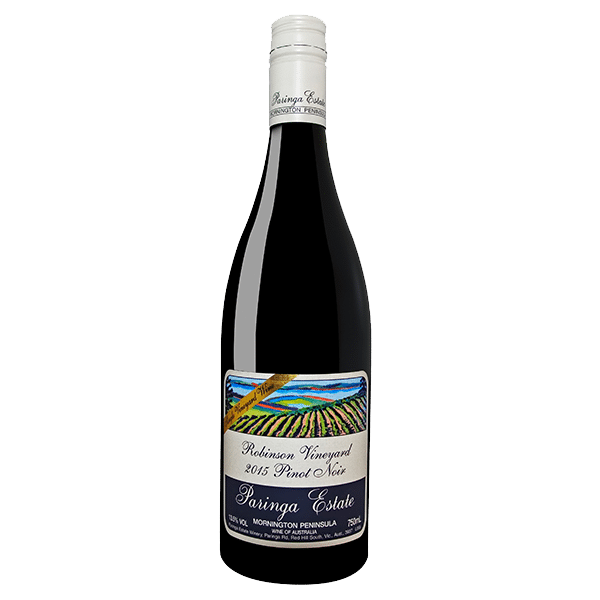 For a number of years, Paringa Estate has sourced fruit off Hugh Robinson’s meticulous vineyard at Tuerong and in 2014 made the first single vineyard wine. This follow up is a humdinger. Mid-garnet and awash with dark cherries, damp earth, musk and woodsy spices with raw-silk tannins and a plushness on the palate. A collaboration between winemaker Lindsay McCall and Dr. Hugh Robinson, the regions highly respected viticulturist have come together to produce a special single vineyard wine. 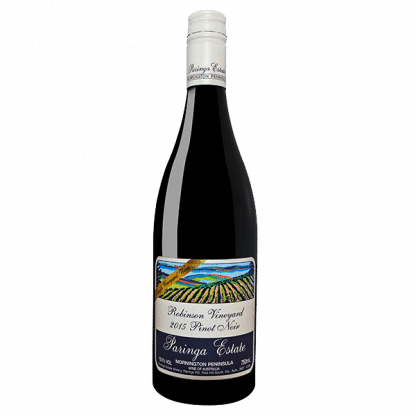 Only 128 dozen produced and currently only available to you, our The Paringa Wine Club members. Comments from Lindsay. "This pinot has been made from a small single clone block of MV6 clone grown in the Robinson Vineyard at Tuerong. 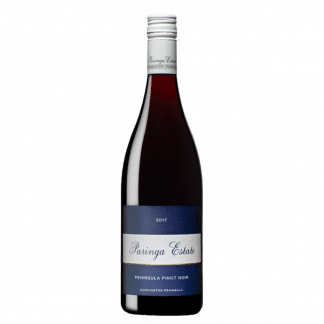 A beautiful pinot with an interesting contrast to our Paringa Estate pinots from Red Hill vineyards. It has a fragrant aroma of red cherries and the palate has a core of sweet red fruit well integrated with savory fine tannins. 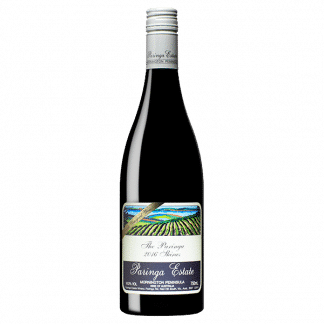 In the past the fruit for this wine was sold to Coldstream Hills and often found its way onto the Coldstream Hills Reserve Pinot Noir. I have called this wine the Robinson Vineyard to officially recognize where the fruit has come from and to pay my respects to Hugh's efforts for growing such great quality fruit. Watch out for future releases to the wine club of this wine as we have made wines from the this same small MV6 block in 2015, 2016, 2017 and 2018".